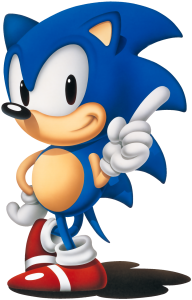 The videogame Sonic the Hedgehog was released in the United States and Europe in 1991. 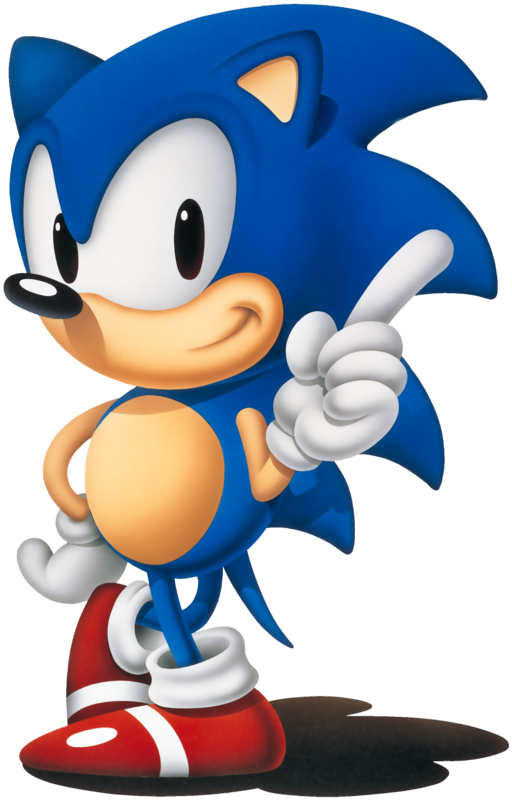 For around 10 years Sonic was the mascot for SEGA, the Japanese games company, and as such a serious competitor to Nintendo’s Mario. At the time he was hugely popular and widely recognized as a global character in games, television cartoons and merchandising. So why have I chosen the release of this game as my ‘moment’? And what does it tell us about media and movement? It represents a point at which a number of important factors in today’s global media and digital culture first came together. It highlights some key historical, cultural and technological issues that can help us understand the contemporary global media landscape. By 1991, videogames had been popular over ten years, since the Space Invaders arcade machines at the end of the 1970s. Today we think of digital media and culture as networked and mobile: the web, smartphones and apps, online communities and social networks. But in the 1980s through to the late 1990s, most people’s actual experience of computer technology and digital media came through videogames: first arcade machines, and then domestic game consoles such as the SEGA Megadrive and SuperNintendo Entertainment System. Players learned about interactivity, algorithms, Artificial Intelligence, virtual reality, simulation, and networked communications, through playing with these popular everyday devices and games. Sonic asks us to think about media and movement in a number of ways. Media move us. They move us emotionally – we are moved to tears in a sad film or book. They move us physically – we jump at a scary moment in a horror film. And new media move us in new ways. Videogames take the television set and make us move: as players can’t just sit back and watch, we have to lean forward and respond, interact, engage with the characters and action. Sonic as a character is all about movement – very fast movement. He and the game are all about speed – the player has to respond very quickly to keep control – and often loses control. This is also a significant moment in the emergence of a GLOBAL media landscape. Popular media images had circulated around the world since the 1920s and 1930s, particularly through American products – notably Disney characters and films. These media were global in their reach, but the movement was generally one way, out from the United States to the rest of the world. With videogames however, a popular media form with signficant roots in East Asia – Japan – came to dominate. The United States’ occupation of Japan after WWII brought American films, comics, and television programmes into Japan, and so initiated a complex movement of images, characters, stories and ideas that travelled backwards and forwards between the West and the East. For example Nintendo – then a company that made playing cards – licensed Disney characters – but then these familiar characters and stories were mixed up with Japanese traditions of graphic arts (manga, woodcuts) and ideas (industrialization, robotics). Thus a more hybrid popular media culture was exported back to the West through toy robots, arcade machines, television and anime. Sonic is a good example of this: he is a hybrid of Western Disney-like characters and Japanese graphic traditions from Hokusai’s woodcut prints in the early C19th to C20th manga. He is also the product of the movement of images and scenarios from Science Fiction backwards and forwards around the world: particularly robots, cyborgs, and anxieties about the relationships between nature and technology. We can see that really clearly in the popular Japanese character from the 1950s – Astro Boy – but also in more recent and more ‘grown up’ animation, such as the cyberpunk Akira or Ghost in the Shell in the 1980s. Sonic epitomises the global movement of popular media images and idea from East to West and back again, into the hybrid media landscape we see today. (I first explored this topic in my MA dissertation The Emerald Hill Zone: Sonic the Hedgehog and the visual culture of later capitalism 20 years ago).